The new report is out. I haven’t read it yet, but here’s the teaser graphic from the website. 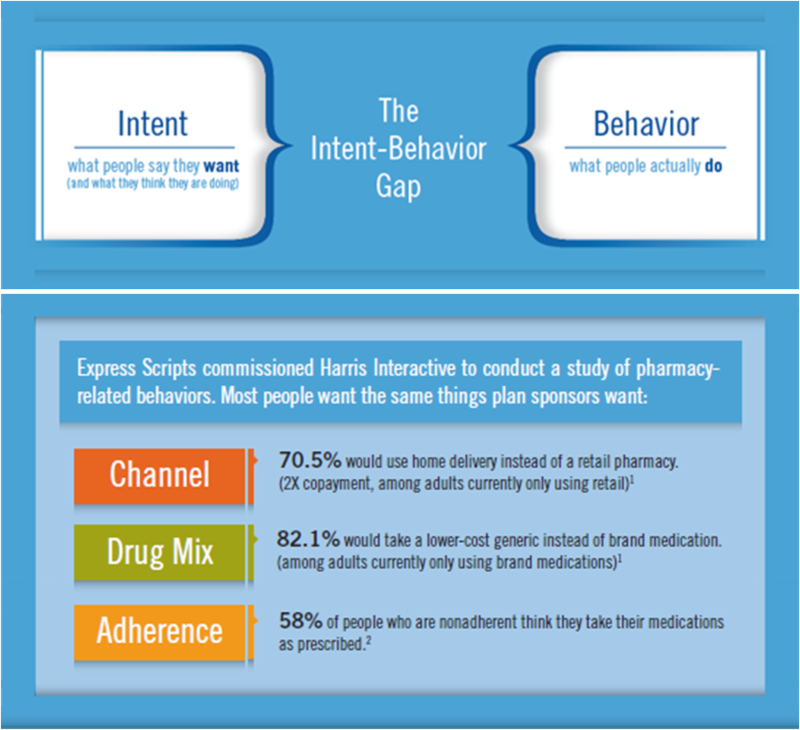 One thing I did find interesting is ESRX’s use of various data points (whatever they are) to predict non-adherence behavior and preemptively intervene. Would love to see how sophisticated their system really is on this. I struggled with their usage of the word intent, because it’s so prevalent throughout the report. But overall, very useful report with a lot of data points.